Not a zombie post. Just amazed at the sheer amount of not-thinking that happens. How often people go on scripts. How often they use words that do not mean what they believe. How often people see what they were told to see instead of what is right in front of their eyes. And the power of the defense mechanisms that kick in to protect the not-thinking. And there's no way to know when I am doing it. Sometimes you can see other people's blindspots, but not your own. I may be even more reflexive and non-thinking than the people around me, and frankly, that thought scares me. Like living in the zombie apocalypse but never figuring out that you are one of the zombies. Efficiency. Efficiency is getting the ideal result with the least effort in the shortest time. So inefficiency is any wasted motion. Ideal result, not maximum result. If I choose to parry a strike, I could push it well away from my center line, but anything past the edge of my skin is unnecessary (wasted motion) and usually leaves a bigger opening for the bad guy. I want to parry so small that the threat isn't even sure he has missed until it is too late to recover. So, what got me thinking: Simultaneous block and strike came up again. Senior practitioner, good skills. Body blading, evasion, rolling shoulder were all part of his strike. If his strike landed first, it changed my geometry such that, in most cases, my strike will miss it's target. The ideal goal of a block or parry is not to be hit (there's more that you can do, I'm keeping it simple). If the 'strike' part of simultaneous block and strike took care of that goal, as it almost always will, the block does nothing that is necessary. It is wasted motion. It is inefficient. Follow the logic: if X accomplishes nothing, X is wasted motion. Wasted motion pretty much defines inefficiency. He could follow the logic chain all the way up to admitting it was wasted motion, but he still insisted it was efficient. We call things efficient (or whatever) which are not. And we see the inefficiency, the waste, sometimes the damage, right in front of our eyes and refuse to acknowledge it. The defense mechanisms kick in and waste or even injury get redefined, or blame gets shifted. Pick up a copy of Heuer's "Psychology of Intelligence Analysis" for the best short list of the mechanisms of blindspots I've found so far. You know how sometimes things come together all at once? Yeah, like that. Last two weeks, every spare minute and all writing energy has gone elsewhere and, last night, K and I uploaded two new books. Two. 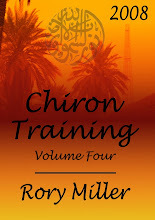 The Chiron Training Journal is available on CreateSpace. It should be available on Amazon in a day or two. 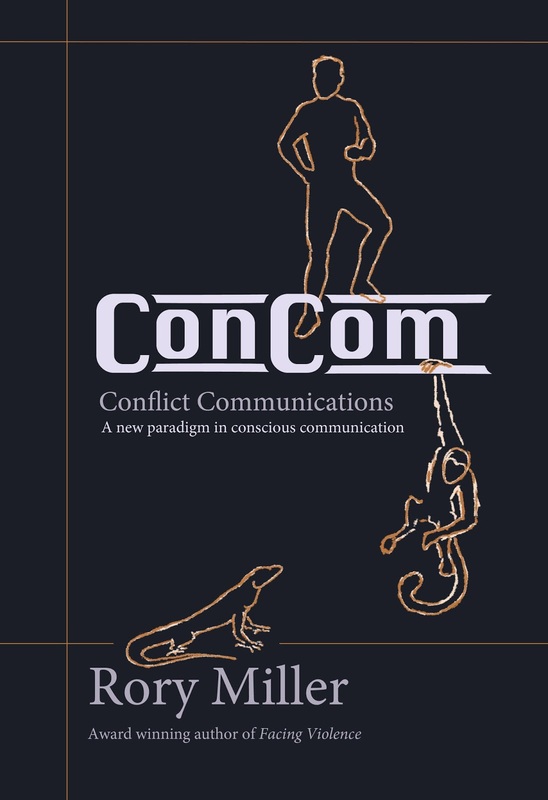 ConCom got uploaded last night and is available in the Amazon Kindle store. That project has been four years in the making. For at least ninety days it will only be available on Kindle. I have to make a decision about whether to publish it in other formats myself, or contract to YMAA. Time to take a little break. Nah. I don't remember how. But it might be wise to spend the next two days doing some internal recon and setting a course for the next stage of life. Recently contacted by an acquaintance about how to attract and retain women to a self-defense studio. His assertion was that the women who left wanted it to be fun, but self-defense was a grim subject, inherently un-fun. Maybe. But humans are mammals, and all mammals learn best through play. And the math of self-defense training is bad. Spending 1000 hours with multiple minor injuries in a self-defense class to save a night in a hospital is bad math, as is spending $1200 a year on the off chance you can save the $100 in your wallet from a mugger. Training out of fear is always stupid. That might be a blog post later. If you are going to train, train because you love the training. Setting that aside. For deep self-defense training, there is a progression. First, you must make an emotionally safe place to practice physically dangerous things. And then you must make a physically safe place to do emotionally dangerous things. When a student comes to you for true self-defense, there may be a history of victimization or abuse. There may be an expectation that the person is easy to victimize because they are physically weak or socially awkward. I'm not talking about the martial athlete dabbling in self-defense or "reality based" training. I'm talking about the people who fit victim profiles. The people who actually need this stuff. The population for whom these skills are not a hobby, but a matter of survival. 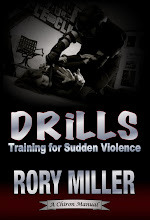 In the first stage you must make an emotionally safe place to practice physically dangerous skills. What does that mean? That the student will never be ridiculed or belittled or, most importantly, exploited. You will tell them to get better instead of haranguing them for their failures. They will be bruised and sweaty and bleed, but they will never be embarrassed. Losing is learning, it is not humiliation. (Unless the winner and the teacher are dicks.) And exploiting-- your students are not in your dating pool. No exceptions. You stay at this stage until the students are formidable. What does formidable mean? It means that they can hurt you. On the level of physical skills, you should be able to win (you are the instructor, after all) but not easily, not without risking serious injury. More importantly, formidability is an emotional understanding. When your students know that they, absolutely, have the physical skills to destroy another human. This is a qualitative change. In a very real sense the student you have brought to this stage is not the same person who started studying with you. If the student is ready, and agrees, the next phase is to create a physically safe place to do emotionally dangerous things. You will push buttons. You will re-create personal incidents of victimization. You will summon adrenaline and fear and shame and angst. And you will make it as safe as possible for you, because this is no longer a victim, but a person of formidable skill. And they will learn how many of their inhibitions are imaginary, and how to function under adrenaline, and how to fight someone who knows how to control their emotional state. Two projects are nearing fruition. The ConCom Manual is in final proofread, the cover is done and the kindle e-book will be available very shortly. There's a whole bunch of writerly stuff involved in the "only kindle for now" decision that I can't disclose yet. Yes, I want a paper copy out and to have it available in more platforms, but that will take longer and may be under a regular publisher. The second project is probably the laziest writing possible, but it's been fun. 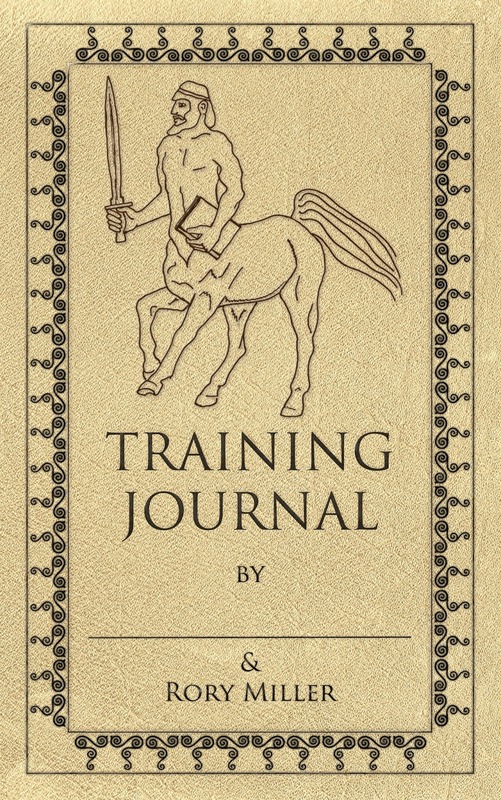 It's mostly a blank book, designed as a training diary. Some advice and insights, a place to document training and to analyze and connect what you know. It also includes my current lists of Building Blocks, Principles and Concepts. Mentioned those here. The deal at the time was 'you show me yours and I'll show you mine.' Now you can get the lists without making one first-- though I highly suggest you make your own list. Cross pollinating ideas works best if you have solid ideas to cross.